Both of these teams lost their opening game in the Top 16, so one team will get off the mark but one team knows that they will be sitting with a 0-2 record after their opening two games. This isn’t the sort of start anyone wants to make to 2016 so you can guarantee that both teams will be desperate to avoid defeat in this one. Given that both teams also held a 4-6 record in the regular season, we are dealing with two teams who are more accustomed to losing rather than winning. That is why this game represents a massive opportunity for both teams and the home team needs to take the initiative in this game in Istanbul. 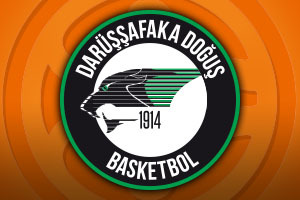 Luke Harangody is the top scorer for Dogus this campaign but the fact that he has only scored an average of 9.8 points per game is a big indicator of the troubles that the Istanbul side have experienced this season. He, and other players, needs to step up and grab points tonight to ignite their Top 16 campaign. Miro Bilan has been the standout player for Cedevita this campaign and he leads the way for points scored and rebounds for the team from Zagreb. The Croatian player has helped himself to an average of 15 points per game in the regular season and he also managed to notch an average of 6.5 rebounds over the course of the regular campaign. Jacob Pullen has been the other notable player in the Zagreb side and both of these players will need to deliver a strong performance if the away team is going to avoid a 0-2 record at the end of this week. The bookmakers think that the Turkish team are the favourites for this one and it is hard to argue against that logic. 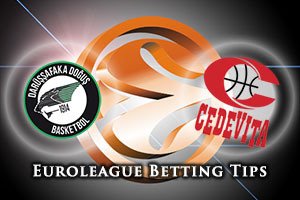 This means that you should be looking to take Darussafaka Dogus Istanbul at -4.5, at odds of 1.90. If you have an interest in the Over/Under market, you should be looking to go OVER 146.5 at odds of 1.90. Bet Now!